http://www.evancarmichael.com/Book-Reviews/ – Review by Nikki Leigh for Jill Lublin’s book – Get Noticed Get Referrals. Friday is the last day of Jill Lublin’s tour and we’ll share a review by Carolyn Howard Johnson. Join author Dave Richardson on his August blog tour to learn more about his life as a “Jolly Green” rescue pilot, picking up aircrew shot down in North Vietnam and Laos. This book is a real treasure with details of his 7 rescues of 9 men and over 30 anecdotes relating to his experiences. The book is profusely illustrated with more than 100 photos, maps and drawings. 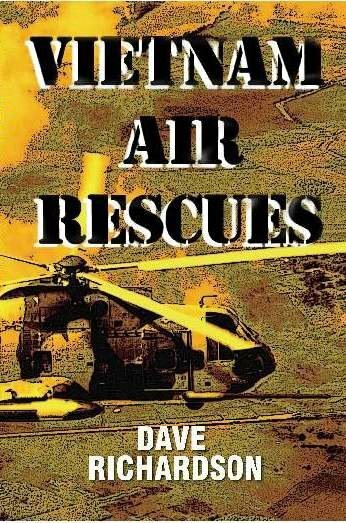 To order your copy visit his website at www.vietnam-air-rescues.com. 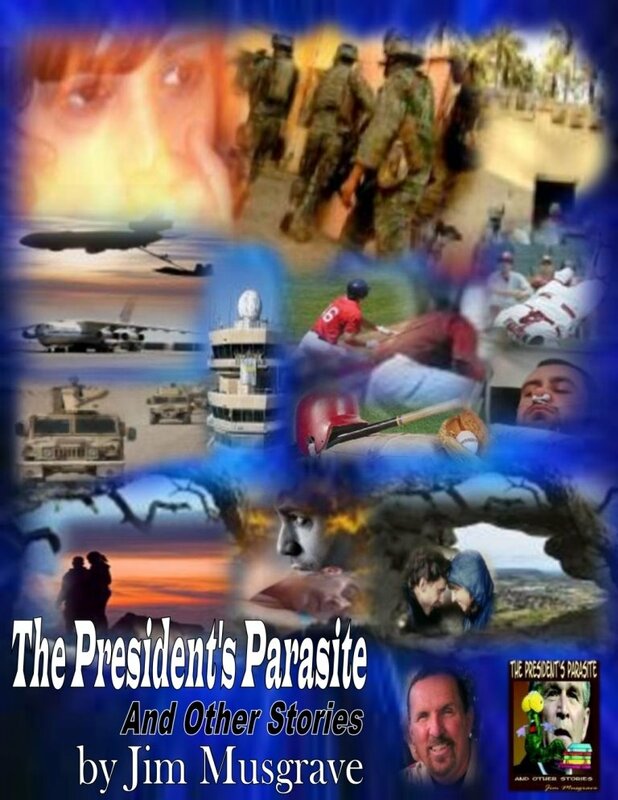 Last chance to win a copy of Jim Musgrave’s book, The President’s Parasite and Other Short Stories. Drop in as Nikki Leigh interviews this award winning author on his last tour stop. Be sure to ask a question or leave a comment for Jim for that chance to win his a free print copy of his book. That’s how it’s done! Hugh Ballou was recently featured in Performance Magazine and you can read the article about him at the link below – scroll down to page 10 to learn more about the work that Hugh does. Jill Lublin visits http://www.blogbusinessworld.blogspot.com – Wayne Hurlbert . If you missed earlier days on Jill’s tour – she is located on the link above on page 22. Although I was born in the Midwest, I have lived in So. California, where I still reside, nearly all my life. I took a creative writing class in middle school, and have been writing ever since. My first publishing credits were for short stories and poetry. I dabble in photo editing and art, I own a small business and my number one job is parenting my three kids. Seriously, like someone else I know, I am a lighthouse nut and find them enchanting and inspiring. I collect them, visit them, write about them. I even lived in one for a brief period while writing POINT SURRENDER. My first book, STARCROSSED HEARTS, is about the entertainment industry—movie stars, if you will. Since I grew up a stone’s throw from Hollywood, I was very focused on the movie and TV business. As an adolescent, I used to fantasize about being an “extra” on a movie production. That’s exactly where that first book starts. Five published, three in process. STARCROSSED HEARTS, contemporary romance; A HERO’S PROMISE, (sequel) romantic suspense; IN TOO DEEP, contemporary romance; POINT SURRENDER, romantic paranormal mystery; and, writing as Pam Ripling, LOCKER SHOCK!, middle grade mystery. I think most writers write in the genre they enjoy reading. My middle grade reader was inspired by my sons when they were in junior high school. Actually, when I am writing a story and it becomes unfocused, I usually discover I’ve made a wrong turn and must backtrack to where I fell off-track. Print advertising; direct mail (postcards); press releases; personal appearances; radio interviews. Appearing/speaking in non-traditional venues, such as coffee houses, wine shops, dinner assembly stores; on-line events. My own website is located at www.BeaconStreetBooks.com. I don’t see an end to it anytime soon. I hope to be able to devote more time to my writing career in the coming year. More time to write and promote. I also feel the publishing industry is at a crossroads, is evolving. I believe whole-heartedly in the future of the electronic book reader. It’s taken much longer to “catch on” than I thought it would, but it hasn’t gone away. I personally read primarily e-books. Develop an on-line presence through such avenues as MySpace, Author’s Den, my own website, and various romance reader sites. Probably print advertising, where I did not secure repetitive exposure in the same media. This interview was done in conjunction with Nikki Leigh. For more information, visit – www.nikkileigh.com/promo.htm.